“The structure of Michael Jordan’s world-renowned, 26-year partnership with Gatorade was a landmark deal that would change the landscape of sports marketing. 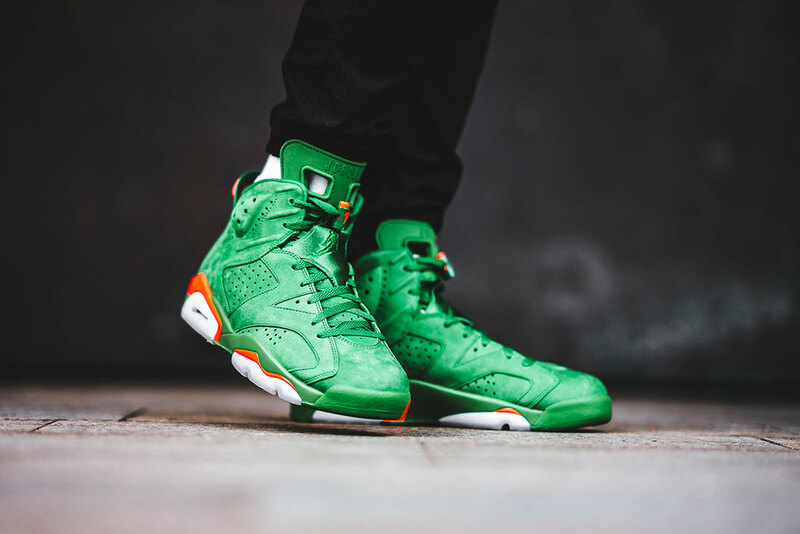 Fast forward to the present day and inspired by that era; the “Air Jordan 6 Retro Energy Gatorade” sneakers are being released on December 30th, 2017. Now I don’t know if the all-new Jordan’s will stand the test of time in the way that the legendary partnership has; only time will tell on that. 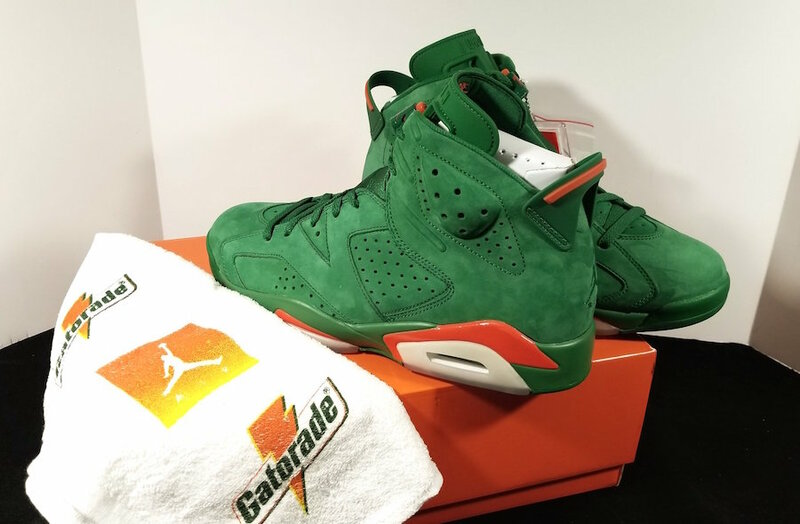 However, I do know that these Gatorade influenced Air Jordan 6’s are definitely on point. 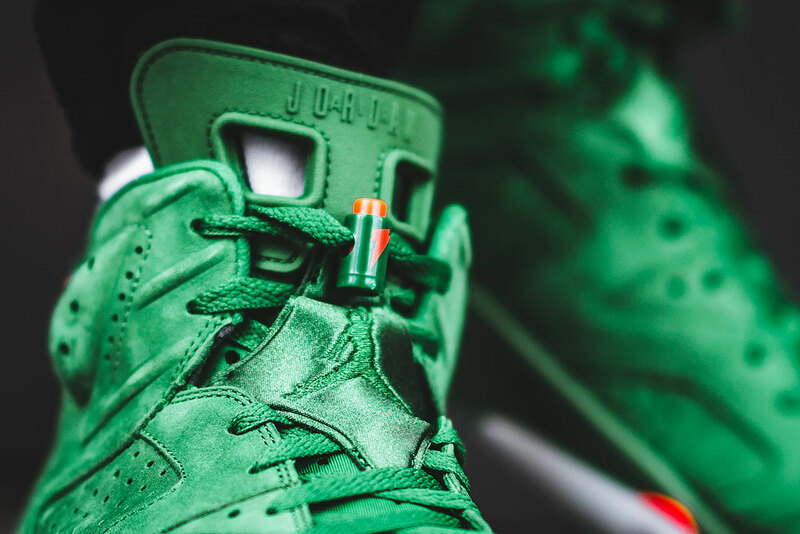 They are part of the Jordan Brand X Gatorade collection that was released throughout the month of December. 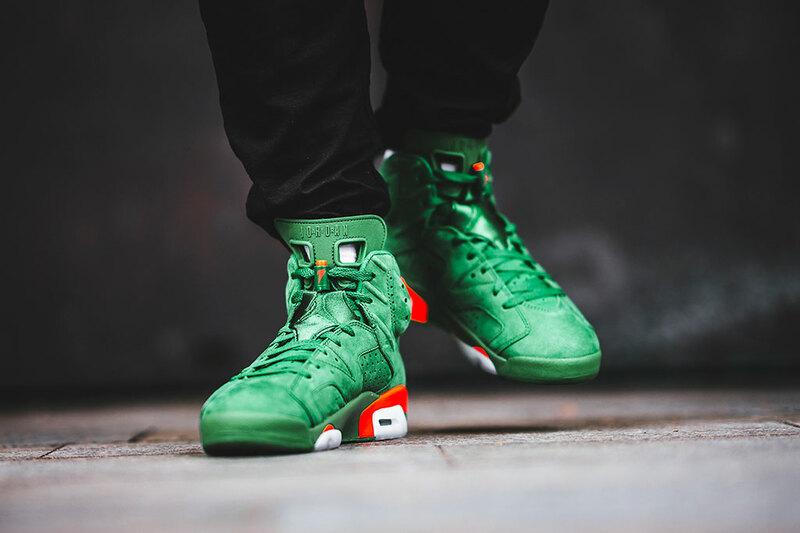 The Air Jordan 6 “Like Mike” edition from the same collection dropped earlier this month. The “Like Mike” version are considered more of a general release, in other words, you might be able to get your hands on a pair. These, however, are a limited release and are going to be far more expensive and much harder to find. 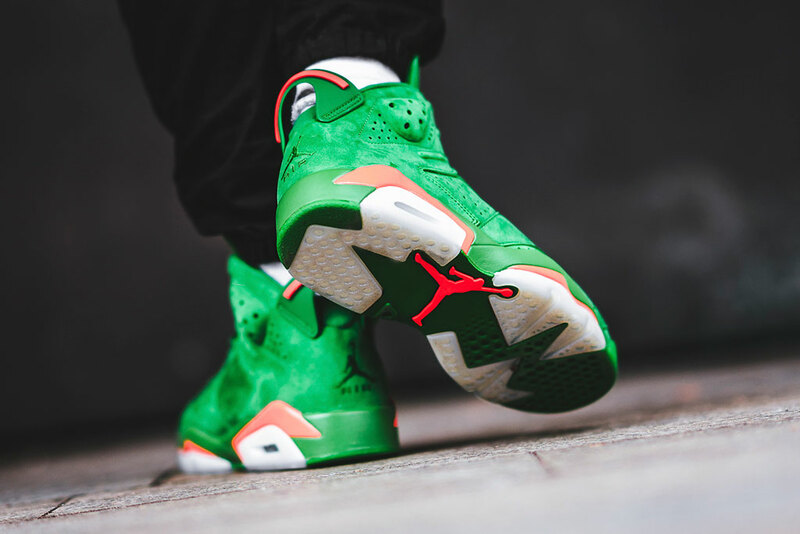 The Air Jordan 6 Retro Energy Gatorade sneakers drop worldwide in a stunning “Pine Green” with fire “Orange Blaze” accents. The famous Jumpman comes embroidered on the back heal baked right into the super soft suede. They also come with an Air Jordan / Gatorade logo towel which is a nice branded touch. Even the packaging is dope; the box is done in a matte finish with added texture further separating it from its closest competitors. So get your matching Miami Hurricanes and Celtic gear ready. 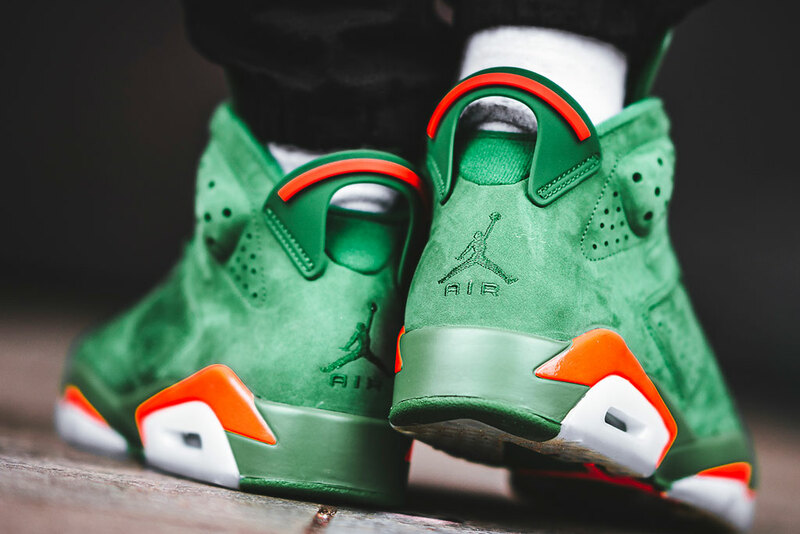 The Air Jordan 6 Retro Energy Gatorade’s are a nice way to walk into your sneaker collection in 2018.